Directors: Irvin S. Yeaworth Jr., Russell S. Doughten Jr.
Q: Is this film available in 3D? Q: Is 'Creature from the Black Lagoon' based on a book? 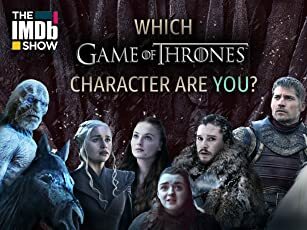 Q: Who is the guy whose face is wrapped up in bandages near the end of the movie? (There are Spoilers) Finding embedded in a rock, along the Amazon River in Brazil, what looks like a over-sized catchers mitt Prof. Carl Maia, Antono Morero, feels that he made the rock-hard discovery or the century: the remains of an aquatic human-like creature, dating back to the Devonian Era. This discovery can be the the very first link to what turned out to become the human race. Getting an expiation together and going into the uncharted, and undiscovered, Amazon Basin Prof.Maia together with a crew of scientists lead by Dr. Mark Williams, Richard Dennings,get to his campsite. There they find that his two Indian guides were butchered by some strange monster from the deep. It turns out that this creature has been living in the lagoon for millions of years without any contact with the outside world. Now that his domain had been invaded and disturbed he's out for blood and won't stop until all those who trespassed into his kingdom, the Black Lagoon, are eliminated. The "Gillman" at first is a bit confused of what's happening and just goes out in the water to observe what the humans are doing. When it becomes obvious that their out to get him,dead or alive, and bring him back to civilization, as the scientific find of the century, he goes bananas and sets out to attack and kill everyone on board the science ship Rtia. 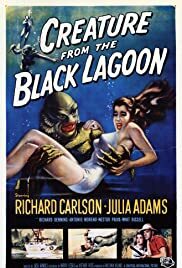 The Gillman has just one weakness, he gets distracted by the beautiful assistant of Dr. Williams Kay (Julie Adams)whom the Gillman, or creature, wants to keep alive all for himself as a playmate as well as a mate. Even though Dr.Williams wants to go as far as killing the creature the sensitive second-in-command of the expiation Dr. David Reed, Richard Carlson, is dead set against it. Dr. Reed wants to leave the creature alone and just bring back photographic proof that he exists. This causes great friction between the two explorers. The creature meanwhile barricades the Rita into the Black Lagoon by blocking the exit route ,with logs and tree branches. Setting up the movie's finale conflict between man and beast or creature. The creature goes on the attack killing a number of Rita crewmen and almost rips Dr. Thompson's (Whit Bissell), another member of the expiation, face off Later the creature is put to sleep with the underwater knock-out drug Rotenone that Dr. Reed sprays in his face in a tense and deadly underwater encounter. Put in an underwater cage, on the Rita, the creature easily breaks out, after the effects of the drug wears off. Goes back into attack mode the creature has it out in an underwater battle royal with both Dr. Reed and Dr. Williams who he ends up killing. By dragging him down to the bottom of the lagoon and cutting off his air supply. The creature finally gets what he's been after all along, Julie, by boarding the Rita and snatching her up, while everyone else on board is looking the other way. In the end the effects of the Rotenone and a number of spear-gun wounds have taken the wind out of "The Gillman", or creature. After taking Julie to his secret hideout or "pad", an underground cave, the creature just about had it staggering along the shore, like a drunk, and plopping into the river with David and the crew of the Rita letting him get away. Eye-popping underwater photography makes the movie "The Creature from the Black Lagoon" one of the best horror films released in the 1950's. 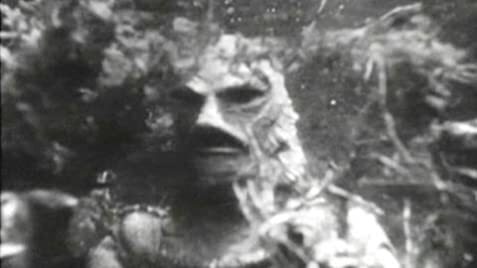 The Gillman does return in two more sequels, " Revenge of the Creature" in 1955 and "The Creature Walks Among Us" in 1956, until he was finally put out to pasture, or sea, by the Universal Pictures Studios. 21 of 27 people found this review helpful. Was this review helpful to you?